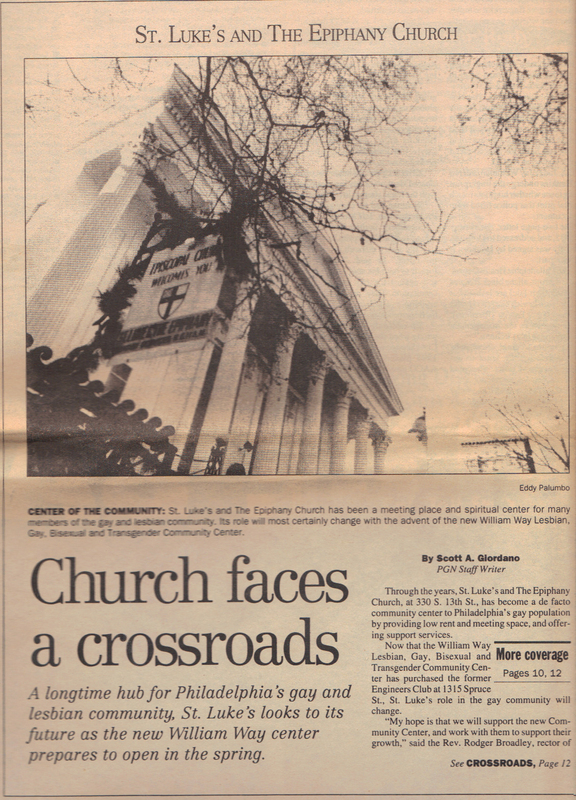 This entry was posted in Church of St. Luke & The Epiphany and tagged ActionsAIDS, AIDS Law Project of Pennsylvania, Allen L. Bartlett Jr., Gayborhood, HIV/AIDS, Linda Boyce, NAMES Project Philadelphia, Philadelphia Gay News, Rodger Broadley, St. Luke's Hospitality Center for People with AIDS, Washington Square West, William Way Community Center on April 11, 2014 by mjk38. 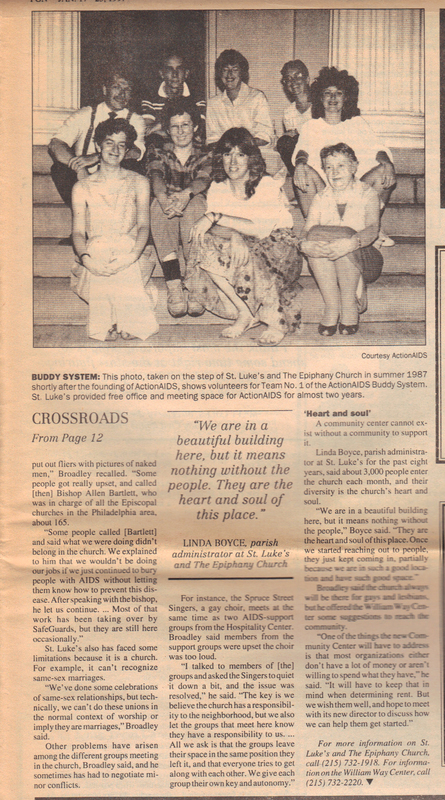 I love St. Luke & the Epiphany, they’ve been amazingly supportive of the gay community. 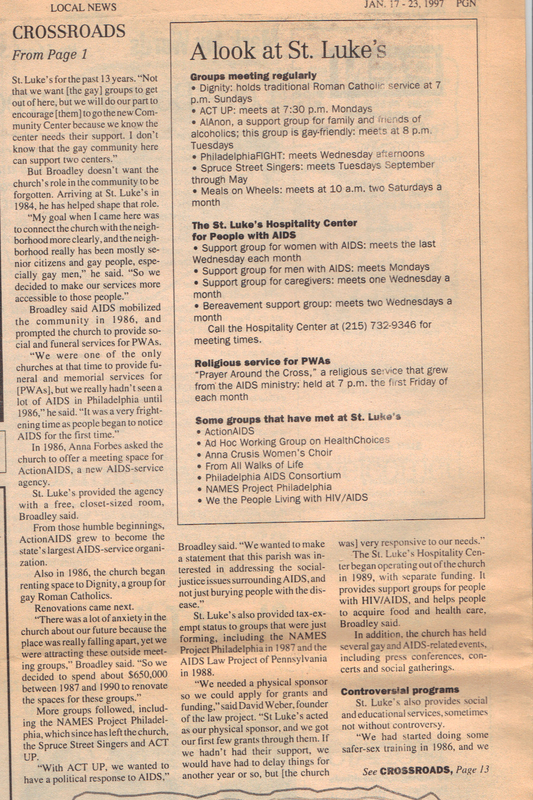 The problem with the post title is that by 1997, Phladelphia already had an LGBT Community Center for 21 years. In reading the article closely, I realize this may have been an indirect jab by PGN the work the Gay Community Center had done until then.